You’ll love living in South Florida, the international gateway to the Americas. Our welcoming campus is just two miles from the beach and located halfway between Fort Lauderdale and Miami, which serves as a major tourism center and a leader in finance, commerce, culture and international trade. The city’s historic neighborhoods include Coral Gables, the Design District, Little Haiti and Wynwood, to name a few. Trendy South Beach is where you’ll find the largest concentration of Art Deco architecture in the world, cafés and fine dining. Visit Little Havana for a taste of authentic Cuban culture and cuisine — or Coconut Grove for parks, gardens and historic estates. Everglades National Park is a great place to hike, canoe, camp or spot local wildlife (including turtles, herons and alligators). An international finance and tourist mecca, South Florida offers easy access to a wide variety of internship and job opportunities. 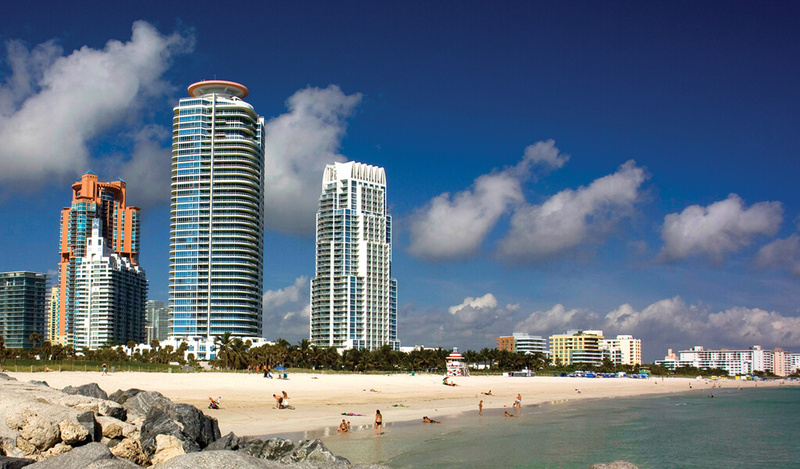 Miami is home to the largest concentration of international banks in the US. The region’s largest employers include American Airlines, Carnival Cruise Lines, and AT&T. 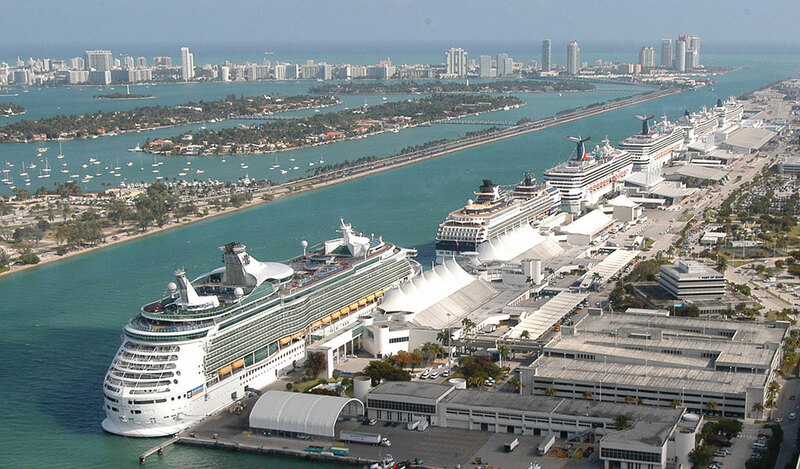 The metropolis also has 4 seaports, the largest and most important being the PortMiami. Others in the area include Port Everglades, Port of Palm Beach and the Miami River Port. And, as the “Cruise Capital of the World,” Miami is rich in business, hospitality and culinary career prospects. From basketball (Miami Heat) to football (Miami Dolphins) to baseball (Miami Marlins) and ice hockey (Florida Panthers), Miami is a pro sports hub. We’ve got spectator and recreational sports covered, too, from major golf and tennis tournaments to car and horse racing. South Florida has a tropical climate, the only major metropolitan area in the 48 contiguous states that falls under that category. 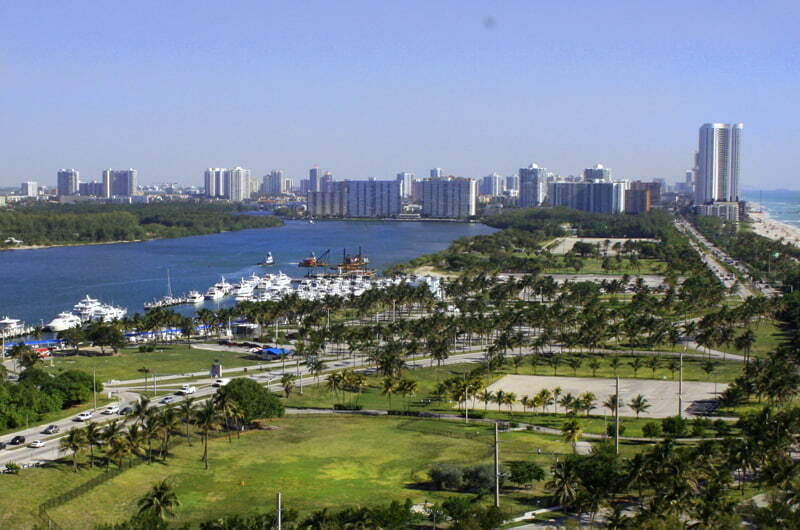 The South Florida metropolis sees most of its rain in the summer (wet season) and is quite dry in winter (dry season). Along Miami’s 35-mile stretch of beachfront, you’ll find easily accessible beaches for swimming and people watching, all with the pristine white sand and clear turquoise waters the area is famous for.